Domestic stock markets started the week with a loss of nearly 1 per cent in a highly volatile session on Monday. The losses came amid selling in all sectors barring IT, and weakness in Asian peers. 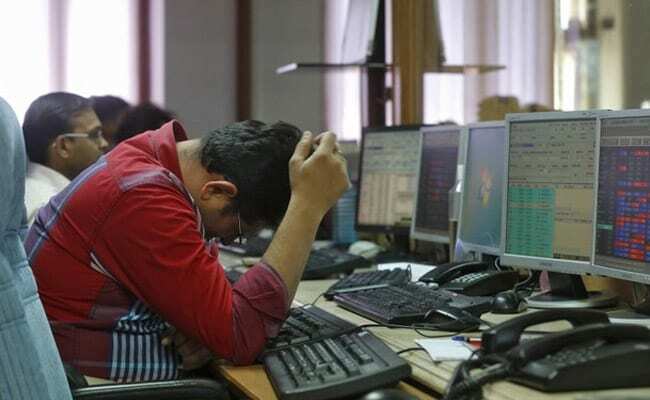 The 30-scrip BSE benchmark, Sensex, shed 345 points to end at 34,812 after a choppy session, whereas the NSE Nifty settled at 10,482, down 103 points from the previous close. Investors turned cautious ahead of release of key macroeconomic data due later in the day. Banking, financial services, auto, metal and energy stocks dragged the key domestic indices lower. However, some buying witnessed in information technology stocks, as the rupee dipped below the 73 mark against the dollar, limited the downside in the markets. Top laggards on the Nifty were Hindustan Petroleum, Tata Motors, Indian Oil, Hero MotoCorp and Hindalco Industries, which closed between 4.1 per cent and 7.2 per cent down. Monday's session was marked with high volatility amid concerns on the cash crunch front, and mixed earnings. Several factors, including the uncertainty around liquidity of non-banking financial companies, upcoming elections and ongoing corporate earnings, are bound to keep the market volatile, news agency Reuters cited Siddharth Sedani, head of equity advisory at brokerage firm Anand Rathi, as saying. Investors were cautious ahead of October's inflation data due later in the day. Inflation likely slowed to its slowest pace in 12 months in October after food and fuel costs fell, keeping the official consumer prices gauge below the central bank's medium-term target for a third consecutive month, a Retuers poll found. The rupee moved lower by 54 paise to hit an intraday low of 73.04 against the dollar, on rising crude oil prices. Weakness in the rupee augurs well for exporters such as IT companies. The Nifty IT index - comprising technology stocks - finished the day with a gain of 0.7 per cent. TCS, Infosys and Tech Mahindra ended 0.5 per cent, 0.8 per cent and 2.4 per cent higher respectively. Shares in Titan Company finished 6 per cent higher. The jeweller had last Friday reported strong quarterly revenue growth. Weakness in other Asian peers, where equities slipped as signs of softening demand in China rekindled anxiety about the outlook for world growth, also weighed on the domestic markets.